“There is no need to speculate on things. Did Tsunami inform you, when it came? Yechuri asked reporters here. When asked whether he expected a Tsunami in the elections, he said “ yes, people’s Tsunami. The election will be between Modi and the people of the country”. 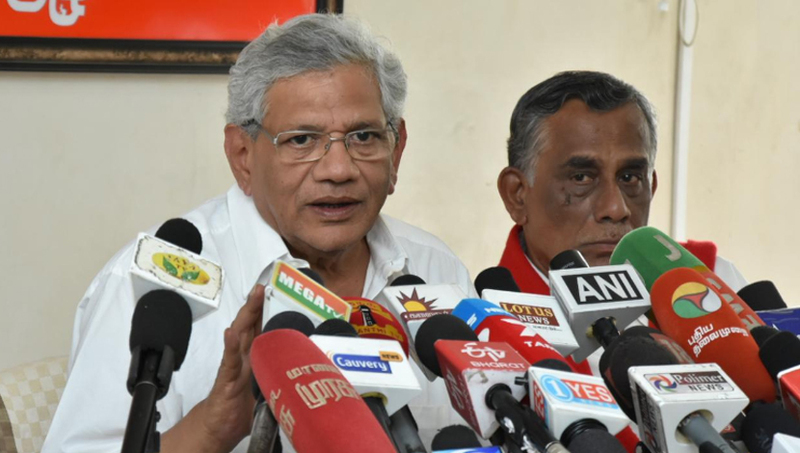 When repeatedly asked whether CPIM will be part of a government, if formed by regional parties, Yechuri said “wait for the outcome. There are nine phases and nobody knows what happens in between”. He recollected the circumstances of 2004 and 1996, where CPIM supported a Congress government and non-Congress prime minister (H D Deve Gwda) was elected. When asked about abrogation of Article 370, Yechuri asked what was the need to raise this issue which had prompted Mehbooba Mufty and the Abdullahs to react. He also welcomed the EC bar on the release of the biopic on Modi. Yechury came down heavily on the BJP for its election manifesto, for giving tall promises without even mentioning the implementation of the schemes promised in the last manifesto.